The Refined Geek » Bound By Flame: Humanity is Overrated. Bound By Flame: Humanity is Overrated. The last couple months have been a little barren in terms of releases which, whilst it gives me some time to plunder the vast depths of the numerous indie releases, does leave me hungering for a more traditional type of experience. 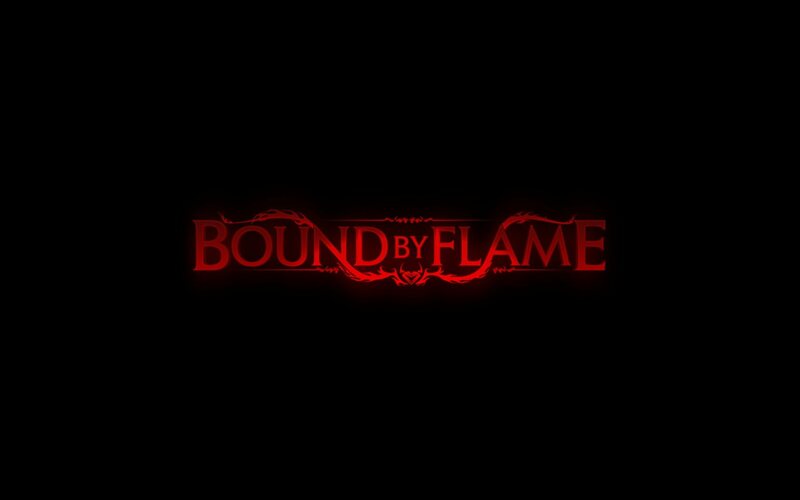 During my usual stumble through the new releases on Steam I happened to come across Bound by Flame, an action RPG that managed to impress me on its trailers alone. However it was hard to miss the rather damning Metacritic review score on the store page that indicated that this title was probably less than stellar. Still the short bits I had seen seemed to indicate that it was worth playing and so I sat myself down to see if I was right. The world is under siege, a massive army of the undead shambling its way across the land and devastating everything in its path. Each battle with this terrible army, under the command of powerful magic wielders called Ice Lords, only serves to swell their ranks even further. There is not much hope for humanity however a group of scholars called the Red Scribes believes they have a way to turn the tide of the war. You are Vulcan, member of the Free Born Blades, a mercenary group who has been hired by the Red Scribes to protect them while they attempt to complete the ritual. However not everything goes as planned and suddenly you find yourself being far more involved in this conflict than you’d first anticipated. Visually Bound by Flame has the look that many similar previous gen RPGs did with an extremely muted colour palette and somewhat simplistic looking graphics. The screenshots are a little misleading as on their own they look quite good but once you see everything in motion it becomes apparent what the limitations are. Indeed the whole thing feels like a fantasy version of Mars: War Logs, which shouldn’t be surprising considering it’s from the same developer, but this means that all the issues that plagued that game are present in Bound by Flame as well. Considering their close release dates I’m assuming that they didn’t have much time to take the lessons learned from their previous title and apply it to this one, which is rather unfortunate considering they seem like a studio who wants to make a decent game. Bound by Flame is an action RPG at heart, taking the majority of the traditional mechanics and wrapping them up in a real time combat system in order to keep the pace up. All the usual elements you’d expect are there: levels, a skill tree system that you use to get new skills and improve old ones, various perks that can be unlocked, loot galore and a crafting system to augment items you’ll find. There’s a main story quest that will be your main way of progressing forward but there’s also a handful of side quests to do should you feel the need. You’ll also have a variety of party members to choose from, each with their own set of skills and story lines which you can pursue at your leisure. The combat is reminiscent of Mars: War Logs as you’re just whacking on an enemy until they try to attack, at which point you’ve got to block or somehow get out of the way. 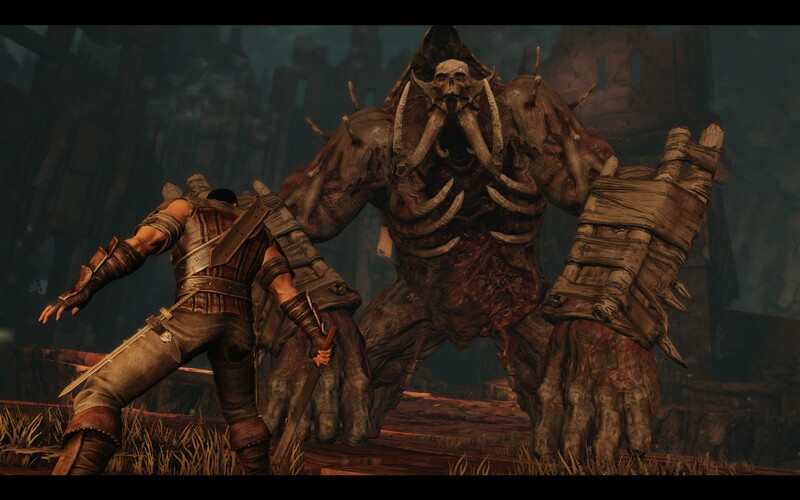 Bound by Flame differs through the use of “stances” which are essentially different ways of doing combat. The warrior stance lets you use your 2 handed sword but stops you from being able to quickly dodge attacks. The ranger stance on the other hand is focused on quick attacks but the ability to parry incoming attacks is greatly reduced. Just like any RPG you’d better focus on one or the other as trying to mix the two will likely lead to a sub-par experience. 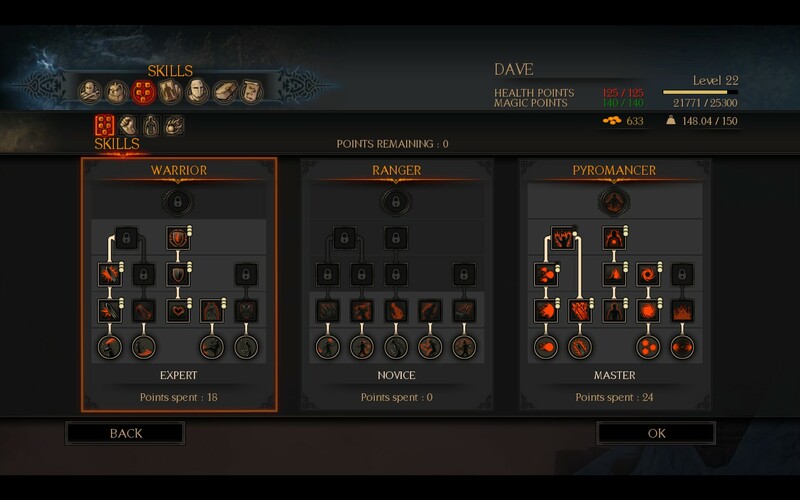 There’s also the pyromancer abilities which are essentially augments to the other two as the game doesn’t seem to have the itemization to support someone being a full time mage. Unfortunately the wild flails in difficulty that plagued Mars: War Logs remains in Bound by Flame meaning that you’ll likely struggle at the start of a section until you find an upgrade or two at which point the game becomes a breeze again. The bosses are also on a completely different difficulty scale to the rest of the encounters you’ll have meaning you’ll likely blow through most of your stash just to get past them. I understand the need for challenging the player, hell I’ve criticised games for not being able to do this, but the disjoint in difficulty isn’t a challenge to overcome, it’s poor game design. This is made all the more obvious by the final boss fight which is, in all honesty, an absolute travesty as unless you’ve built your character specifically for that fight you’ll likely be unable to do it without sinking an disproportional amount of time into it. The crafting system seems well thought out on the surface however it only serves to highlight just how little differentiation there is between most items in Bound by Flame. In the beginning you’ll have to carefully choose your upgrades in order to get the maximum benefit however about half way through you’ll be drowning in materials, allowing you to get the best upgrade for each of your items. The game seems to hint at the idea that you should change your gear constantly to fit the situation but even if you do that you’ll still find yourself with more materials than you know what to do with. Honestly if they had a crafting system that let you make weapons and armour I think the amount of materials that drop would be justified. Maybe then I could craft myself a pair of boots (seriously, I had to buy an upgraded pair of boots in the second to last chapter because I never found any). 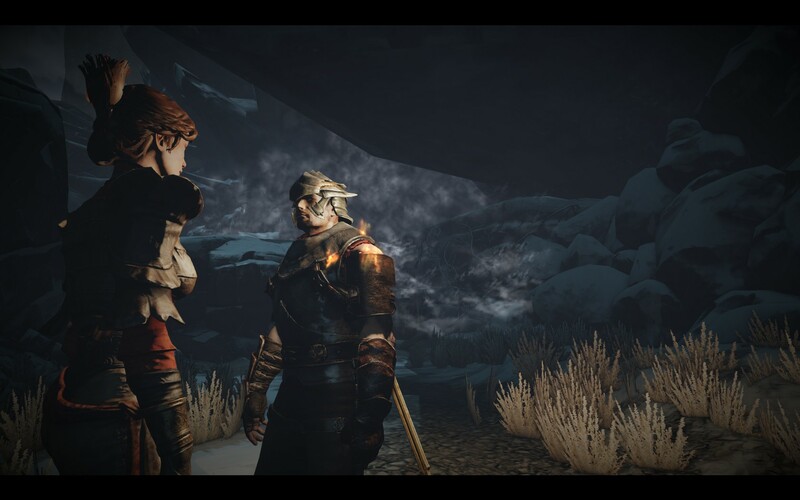 Bound by Flame is also riddled with bugs and strange quirks that mar the whole experience. I had several occasions where, if I dragged a NPC out of their normal roaming area, the enemies would flit between being invisible and invulnerable to being visible but disinterested in me. Other NPCs would sometimes inexplicably face the walls or get stuck on things which would incapacitate them. This is not to mention your party members AI which is beyond useless most of the time, even when you use the order commands to try and modify their behaviour. Reading over my Mars: War Logs review reveals that many of these issues were present in that game as well, something that Spiders needs to fix lest they be forever labelled as a B grade RPG developer. I could forgive pretty much all of this if the story was passable however it’s not. The core idea is solid, you’ve got to choose between your humanity and power, but the execution is sorely lacking in character depth, motivation and just general coherency. Hell even the developers themselves can’t get it completely straight as I note several differences between the story on their main site and the one in the game. Worst still are the romances, if you can call them that, as many of them come down to just choosing one right dialog option at one point, rather than actually cultivating any kind of meaningful depth between the characters. Bound by Flame continues Spiders’ unfortunate history of producing B grade RPGs, seemingly being unable to learn their past mistakes to make their future releases better. It has all the makings of a good RPG, the combat system works most of the time (despite it’s wild changes in difficulty), the levels are meaningful and the crafting system is halfway to being worthwhile. Still the story is well below mediocre and Bound by Flame has numerous glitches and behaviours that do nothing but ruin the experience. I’d love to say I’m looking forward to what they’re doing next but it seems that they have no interest in learning from their mistakes. Go on Spiders, prove me wrong. Bound by Flame is available on PC, PlayStation3, PlayStation4 and Xbox360 right now for $39.99, $79.95, $89.95 and $79.95 respectively. Total play time was 10 hours with 54% of the achievements unlocked.